This document describes guidelines to facilitate the inclusion of undergraduate and creative works opportunities in the curriculum. Adherence to these guidelines will put departments and individual faculty members in a strong position to develop URCW experiences that will conform to the University’s QEP. 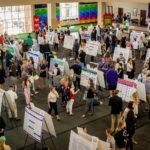 Undergraduate research and creative works are conceptualized as highly individualized research or creative projects that are typically undertaken by students with an expressed interest in and aptitude for attaining more advanced, hands-on experience in a field of study than is typically offered as part of the required program of study. Students may work individually with a faculty member on a project initiated and designed by the student, as part of a collaborative research or creative team on a project initiated by the professor (more typical), or with a group of students working collaboratively on a common project in conjunction with a faculty member. The work must yield a tangible product (or products) and achieve pre-identified learning objectives. Generally, to participate in URCW experiences a student must have a minimum GPA of 2.0 both overall and within the major. A department can, however, elect to establish a higher GPA requirement. The course should be a graded course which carries 1-4 hours of credit. The amount of course credit awarded for any given experience should be established upon the initiation of the experience and will vary depending upon the nature and time requirements of the work to be undertaken. For example, 1 credit might be awarded for work requiring approximately 3-5 hours per week, 2 credit hours for 6-8 hours per week, 3 credit hours for 9-11 hours per week, and 4 credit hours for 12-15 hours per week.Repeating the course for credit should usually be permitted although departments may want to establish limits on the number of credits that count toward the major.Often a developmental model is followed where a student initially begins to get his or her “feet wet” by starting with more basic research or creative activities for 1 or 2 hours of credit and then later progresses to more advanced activities for 3 or 4 hours of credit.For example, a psychology major might elect to sign up for 1 or 2 credits to “learn the ropes” and spend his or her time becoming familiar with the relevant literature, doing library research, and working the professor and perhaps a more advanced student on a project already underway by running participants, entering and cleaning data, etc. 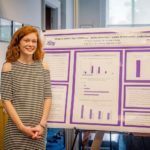 Later that same student might earn 3 or 4 credits for designing and conducting his or her own original project and presenting it at a conference. The course should be offered at the senior level (i.e. 4000-level numbering) to maintain consistency with QEP descriptions.Ideally the course should be designed for juniors and seniors but sophomores and particularly advanced freshman should be allowed to take the course with department chair permission. Assessment of learning objectives must be established at the outset. Assessment strategies should be designed to address QEP, URCW, and departmental assessment needs. (Note: The URCW Committee is currently developing programmatic assessment strategies but each department will also need to consider how to assess discipline-specific outcomes). The HPU URCW program is designed to follow an apprenticeship model where the faculty member is an active, more experienced participant in the research and creative process. Unlike the faculty member’s role in an internship, faculty members do not simply supervise these experiences to assure that learning goals and objectives are met but instead actively train and guide the student(s) through the creative process. Although much of the student’s work will be pursued independently, a faculty member is expected to meet regularly with the student. The number of hours spent in direct contact with the student should be commensurate with the amount of course reassignment time or compensation provided to the faculty member, which in turn should be based on the number of student credit hours pursued. Consistent with the commitments made as part of High Point University’s Quality Enhancement Plan (QEP), each department is strongly encouraged to develop an Undergraduate Research and/or Creative Works course offering.While every student should theoretically have the opportunity to do URCW, such experiences should not be required of all students within a major. Although some departments do currently require students to undertake projects similar to URCW in their Senior Seminars, as currently conceptualized URCW is not designed to replace the senior seminars required of all majors. Individual departments will likely need to consider how UCRW experiences relate to their senior seminars. URCW courses are not intended to replace the Independent Study course option in the catalog. Other Independent Study options will continue to exist even after full implementation of the URCW program. Departments are encouraged to consider awarding credit for URCW toward their major requirements. For example, a department might count URCW as one of several major electives that includes other forms of experiential learning such as an internship, study abroad, or a practicum. Although such experiences are typically designed for majors, departments should consider permitting well-qualified non-majors to participate providing they demonstrate the requisite knowledge and skills. If the department elects to have a formal course offering, enrollment in the course should require the express permission (as indicated by signature) of both the instructor and the department chair. Should the department not elect to offer a URCW course as part of their regular course offerings, a student may apply to work on a URCW project with an individual faculty member. The application process is currently under development but will likely be similar to that currently in place for Independent Studies and will likely require the permission of the Director for Undergraduate Research and Creative Works, the contracting faculty member, and the department chair. In the interim, faculty members can use the existing Independent Study application process. Each department should consider how faculty participation in URCW figures in the tenure and promotion process.